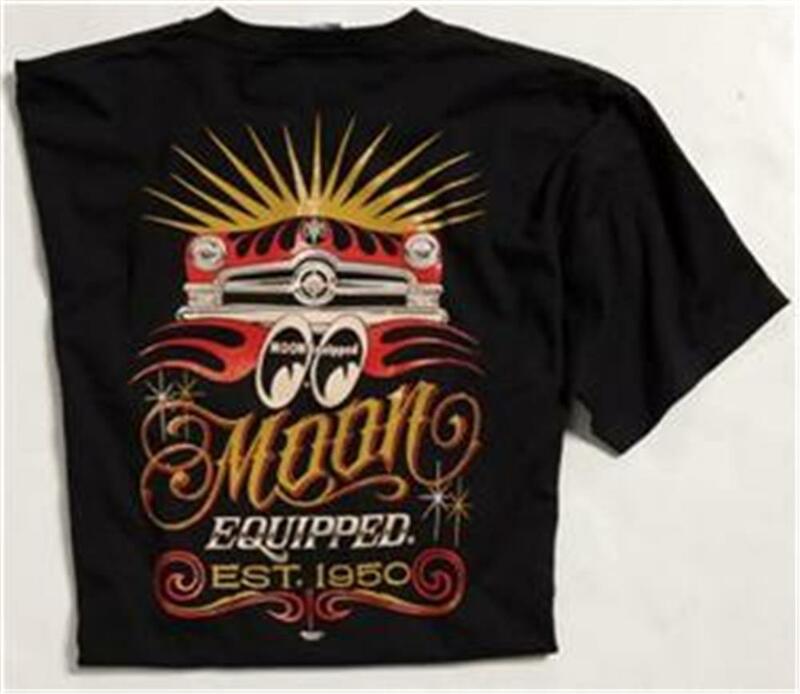 Proudly wear a Mooneyes T Shirt as they are one of the pioneers of the hot rodding industry. Moon Eyes is recognized the world over as a racing classic. The Mooneyes MOON Equipped Shoebox Est. 1950 T-Shirt is made of 100% cotton and available in sizes medium through 3XL.